Six international design teams shortlisted for M+, Hong Kong’s new museum for visual culture, scheduled to open in 2017. M+ will cover approx. 60,000 sqm, (on the same scale as the MOMA, New York), situated on the waterfront overlooking Victoria harbour, adjoined to a 14-hectare park. The list represents the fantastic amount of interest internationally in Hong Kong as a site for cultural development, as well as the increase in major infrastructure designed specifically for the arts, currently taking over the city. With so much interest focused on Hong Kong’s commercial art world of art fairs, auctions and international galleries, M+ and the other 16 venues designed for the Cultural District, are facilities built to showcase Hong Kong’s unique culture and artists, and represent the city’s importance within the international art world. Also announced today is the design of the West Kowloon Xiqu Centre; a 30,000 sqm performance venue for Chinese opera, by Ronald Lu and Bing Thom, both Hong Kong born architects, who have described the commission as a “homecoming”. Xiqu has been planned to open in 2016, the first of the 17 arts and cultural venues planned for the Cultural District. 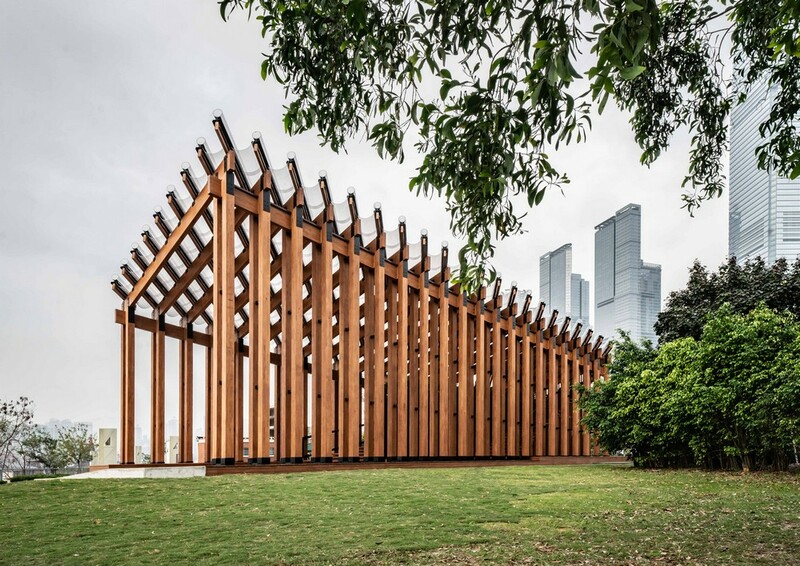 Xiqu will act as a flagship for West Kowloon, it’s design acting as a gateway to the Eastern edge of the parkland. (10 December 2012, Hong Kong) The West Kowloon Cultural District Authority (WKCDA) announced today a shortlist of six design teams that have been invited to submit proposals for the architectural design of M+, Hong Kong’s future museum for 20th and 21st century visual culture at the West Kowloon Culture District. M+, scheduled for completion in 2017, is an ambitious project. The scale of the museum building alone, at around 60,000 square metres, will be on par with the Museum of Modern Art in New York. Situated on the waterfront of the Victoria Harbour at the edge of a 14-hectare park, it will be one of 17 core arts and cultural venues in the West Kowloon Cultural District. M+ will be the flagship hub for visual culture from the 20th and 21st century, alongside major performance spaces, creating interdisciplinary exchange between the visual arts and the performing arts in the city. The physical design of M+ will be shaped around the museum’s core values. Principally it will be a museum for the Hong Kong people, firmly rooted in the location and its unique culture, providing a Hong Kong perspective, with a global vision, expanding to other regions of China, Asia and the rest of the world. It will provide space for artists to meet, exhibit and experiment. It will house a world-class permanent collection of visual culture from Hong Kong, across Asian and beyond, in all its forms, providing and presenting multiple flexible platforms for multidisciplinary programming, exploring art, design, architecture and the moving image, celebrating the fluidity between the art forms that is characteristic of Asia’s cultural ecology. M+ also aims to complement the ‘white cubes’ and ‘black boxes’ of the contemporary art museum with ‘third spaces’ – new formats of interactive space and new interfaces between public space and back-of-house where learning is prioritised. Facilities will include over 15,000 square metres of exhibition space and 14,000 square metres for conservation and storage, an education centre, an archive library and bookstore, theatres and screen facilities, artist-in-residence studios and outdoor green spaces, subject to the future detailed design. 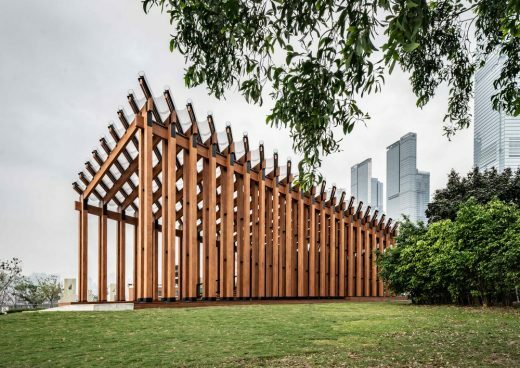 The teams were shortlisted by the West Kowloon Cultural Authority Board following the recommendation of the the the world-class Jury Panel, chaired by Rafael Moneo, the Pritzker prize winning Spanish architect. Other members are (in alphabetical order): Eve Blau, Adjunct Professor, Graduate School of Design, Harvard University; Kathy Halbreich, Associate Director, Museum of Modern Art, New York; William Lim, leading Hong Kong architect; Victor Lo, Chairman of Board of Directors, Hong Kong Design Centre; Leslie Lu, leading Hong Kong architect; Lars Nittve, Executive Director, M+; and Uli Sigg, world’s leading collector of Chinese contemporary art. 17 September 2012, Hong Kong – The West Kowloon Cultural District Authority (WKCDA) announced today details of the design competition for M+, Hong Kong’s future museum for visual culture and launched an open invitation to architectural practices in Hong Kong and worldwide to submit Expressions of Interest to participate. The physical design of M+ will be shaped around the museum’s core values. Principally it will be a museum for the Hong Kong people, firmly rooted in the location and its unique culture, providing a Hong Kong perspective, with a global vision, expanding to other regions of China, Asia and the rest of the world. It will provide space for artists to meet, exhibit and experiment. It will house a world-class permanent visual culture collection of Hong Kong, Chinese, Asian and beyond in all its forms, providing and presenting multiple flexible platforms for multidisciplinary programming, exploring art, design, architecture and the moving image, celebrating the fluidity between the art forms that is characteristic of Asia’s cultural ecology. M+ also aims to complement the ‘white cubes’ and ‘black boxes’ of the contemporary art museum with ‘third spaces’ – new formats of interactive space and new interfaces between public space and back-of-house where learning is prioritised. Facilities will include over 15,000 square metres of exhibition space and 14,000 square metres for conservation and storage, an education centre, an archive library and bookstore, theatres and screen facilities, artist-in-residence studios and outdoor green spaces, subject to future detailed design. Submissions will be assessed by a world-class panel of jurors including : Eve Blau, Adjunct Professor, Graduate School of Design, Harvard University; Kathy Halbreich, Associate Director of Museum of Modern Art, New York; William Lim, leading Hong Kong architect; Victor Lo, Chairman of Board of Directors, Hong Kong Design Centre; Leslie Lu, leading Hong Kong architect; Rafael Moneo, the Pritzker prize winning Spanish architect; Lars Nittve, Executive Director, M+; and Uli Sigg, the world’s leading collector of Chinese contemporary art. In December up to six design teams will be shortlisted and will be invited to submit schematic concept designs by the WKCDA Board, upon recommendation by the Jury Panel. Entries from the shortlisted teams will be examined by the Jury Panel together with assessment through interviews. The West Kowloon Cultural District Authority will be looking for a concept design that is original, sustainable, that should align with the ambitions of M+ and the overall master plan and be cost effective. Once appointed in Summer 2013, the design team will work closely with the M+ team and West Kowloon Cultural District Authority to develop the detailed design for the building.